Even if you find a good fit at the start, your needs will change as you grow. You’ll list more products in more categories. You’ll get more site traffic converting to more customers, generating more transactions. And your original ecommerce platform may no longer be a good fit for your booming retail business. This is especially true if you were heavily influenced by price considerations when researching your options, because many ecommerce platform vendors offer great deals for small businesses, but their pricing plans don’t scale fairly. So how do you know when you’ve outgrown your ecommerce platform, and what should you do about it? Watch for these warning signs, and follow our tips for finding a better solution. Maybe your customers have expressed disappointment at not being able to find you on eBay, or maybe you’ve noticed your competitors have their own mobile app that’s getting a lot of attention. If you’re not selling on all the channels where your potential customers are buying, you’re missing out on sales opportunities. Your ecommerce platform should make it easy for you to sell on multiple channels, and your vendors should help you leap into new sales channels as they arise. Does my retail platform make it easy to list some or all of my products on eBay? Can I readily share and sell my products on social media? Can I use my ecommerce platform to create a mobile app for the 53% of smartphone and tablet owners who shop on company-specific apps? 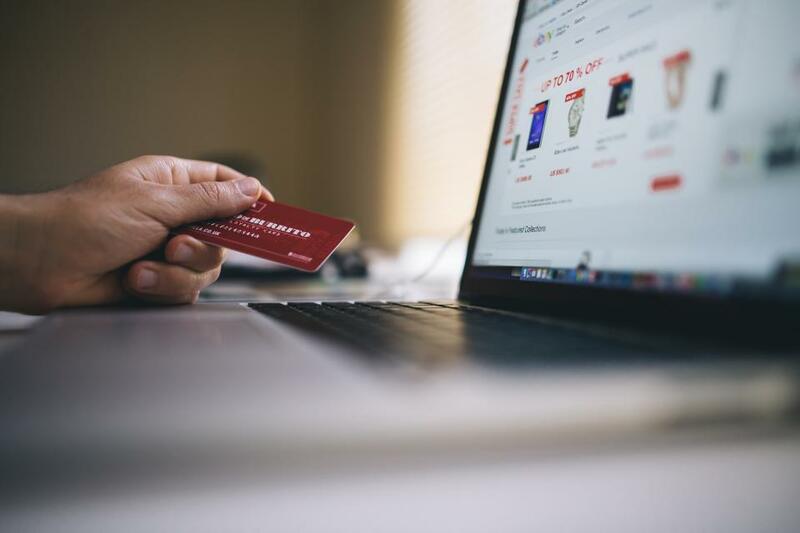 If the answer to any of these questions is no, it’s time to start thinking about switching to an ecommerce platform that can keep up with current shopping trends. sharing useful information on your ecommerce site, like customer reviews, FAQs, shipping and returns information, and helpful blog posts. If you’re lucky, your customers will tell you about it. If not, you’ll probably just notice a lot of shopping carts being abandoned. But these are pretty basic expectations of online shoppers, and if your ecommerce platform doesn’t make it easy for you to meet these needs, it’s not a wise investment. Add-on modules are a great way to bridge the gap between what your current system does and what you need to do, but if you’re starting to use more add-ons than inbuilt features, your ecommerce platform is no longer meeting your requirements. As these add-ons are often created by third parties, you generally need to talk to multiple vendors if you encounter billing or technical issues. And it’s almost certainly costing you more money than an all-in-one retail management platform would. It sounds like you may have bought an ecommerce platform from the dark ages! There’s really no excuse for a platform that requires you to manually copy and paste data between pages or repeat basic tasks that should be readily automated. By switching to an efficient platform that better matches your business processes, you’ll free up time to focus on growing your business. integrate seamlessly with your sales system. If you’re receiving stock in one system, then adding stock levels to locations in your sales system, and updating your stocktakes elsewhere, you’re creating extra work for yourself. Ideally, your inventory should be handled in the same system as your sales, returns, and customer service, so your staff and customers can always access up-to-date stock levels. fielding a question from a customer, switching to your inventory management platform to check availability, and then switching back to answer the customer, or having all the information at your fingertips in the one system? Only when all your business processes are managed within one system, and your data is seamlessly synced to accounting platforms using native integrations, can you be confident that your business information is accurate, reliable, and available when you need it. Why wait, when you can switch today? If your ecommerce store has been growing steadily, there’s a good chance you’ve outgrown your ecommerce platform. If you’ve noticed one or more of these warning signs, it’s time to start investigating your options for switching to a complete retail management system. Neto is the only Australian retail management platform that provides a complete solution for ecommerce, point of sale, inventory, and fulfilment. Our integrated back-end technology enables exceptional and consistent customer experiences via any channel, be it in-store, online or through a marketplace. We automate repetitive tasks and integrate with multiple sales channels to manage orders and shipments. If you’re ready to streamline your store and take your ecommerce to the next level, start the switch today with a Neto free trial.